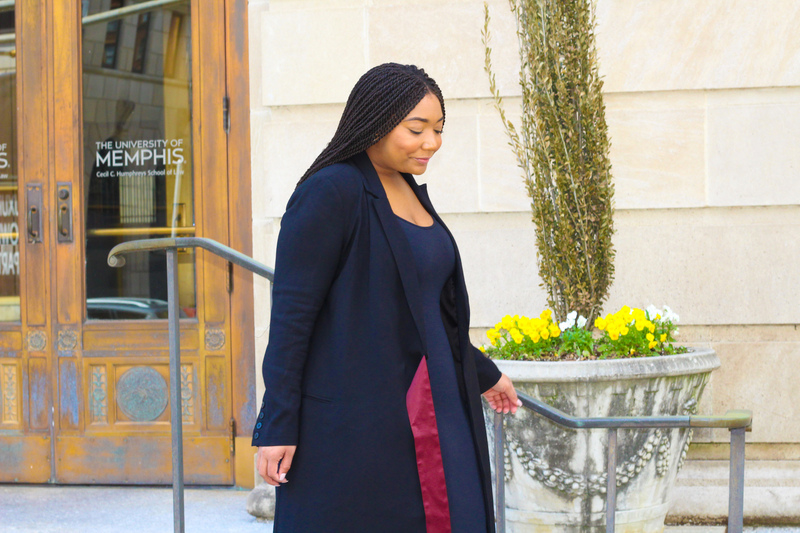 As a millennial in the corporate world I find myself trying to merge my work clothes, blog clothes, and night time clothes all into one. Yeah, so I have kind of perfected this challenge and I have been able to decrease my spending while also getting super cute pictures of my day-to-day wardrobe. This brings me to this ongoing series. I am super comfortable posting casual or date night looks, but I kinda keep it cute for work as well. 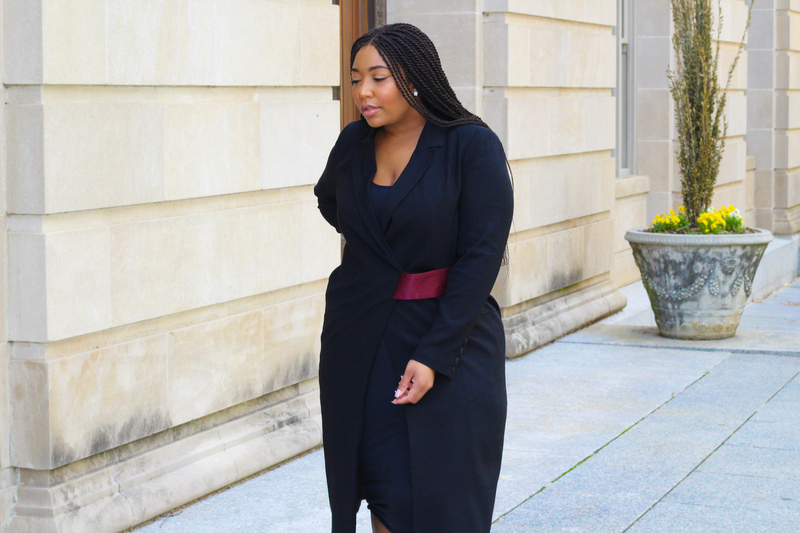 This post has two topics mashed into one regarding workwear, quality pieces that easily transition from day to night. When buying quality pieces it is okay to spend a little more when you know you can get a lot of wear out the piece. Now do not break your bank trying to keep up with everyone but I would prefer quality work wear than a ton of less quality pieces. These quality pieces should also easily transition from day to nights. As millennials we have a lot going on. We literally work all day and then go out to eat or the nearest happy hour to take a load off. 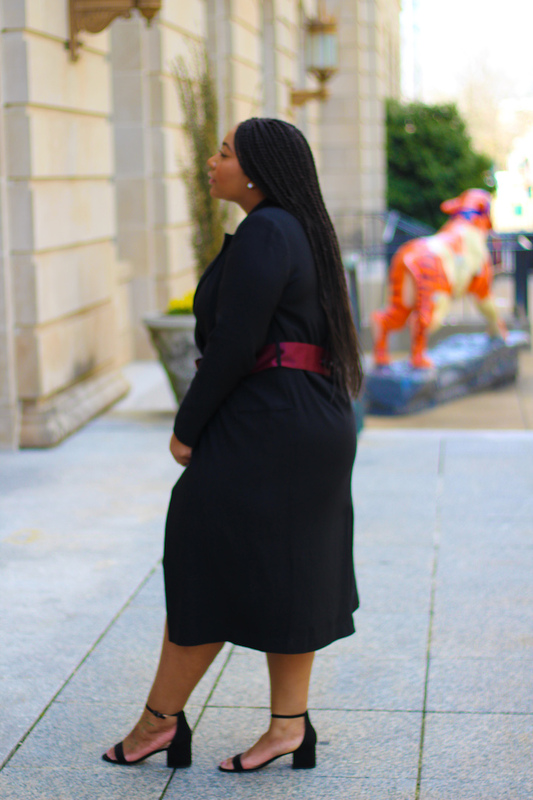 It is pretty cool to have a lot going on and having super transitional pieces are everything! 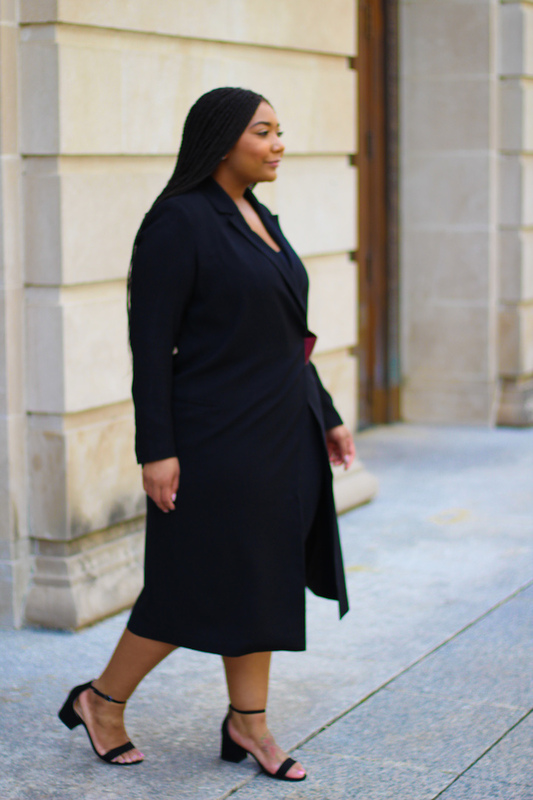 Styling this outfit brought me so much joy, because I was able to try out a new brand and found at least 4 other ways to style this one blazer coat in the process. Yay! 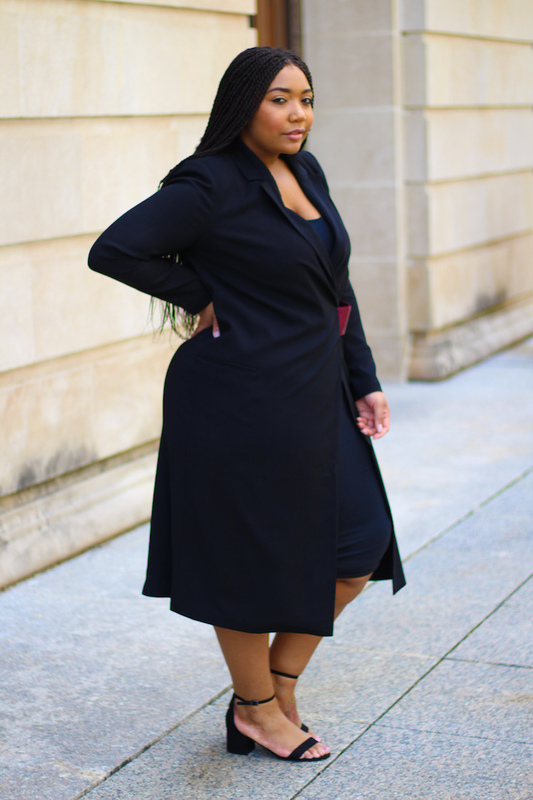 I wore my sensible block heels because I am all about comfort and added a midi bodycon because it was so needed for my night time look. 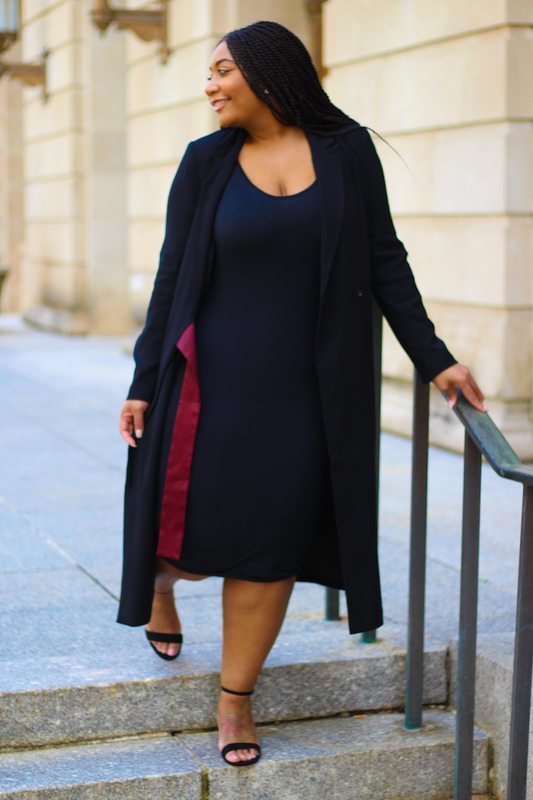 Style Notes: I requested this blazer coat in a S (which is a 14/16) and the fit is amazing! 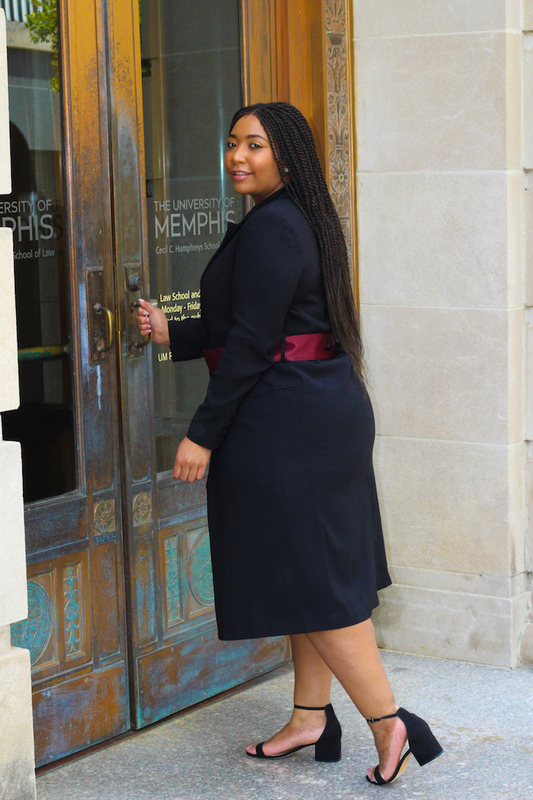 My block heels are true to size in a 10. My midi bodycon is true to size in a 1x. 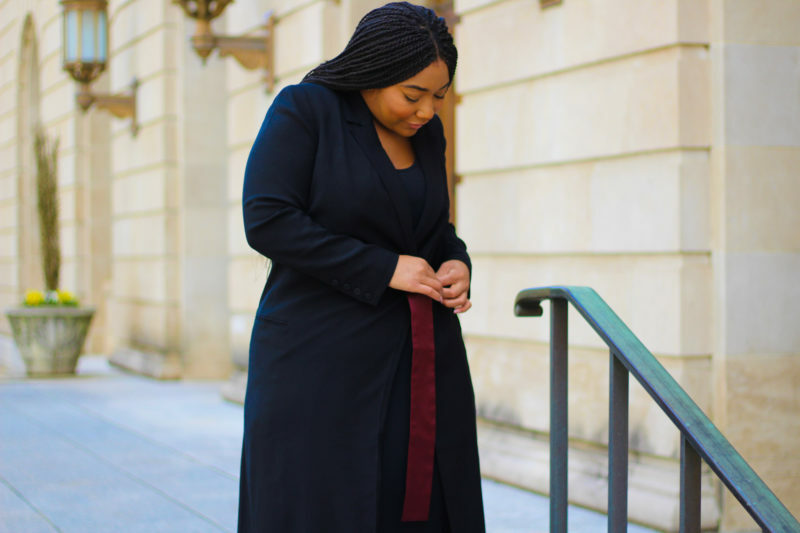 Universal Standard gifted me the Blazer Coat, all opinions are my own.